Just like your home or business needs a strong and stable roof to protect it, it also needs a dependable gutter system to better protect the roof. JAM Roofing also takes care of the gutter needs and does so with the same dedication and care we apply to our roofing services. If you feel your gutters aren’t performing at their best, give us a call and let us install new gutters and renew your peace of mind. Damage to your home or business’s siding can be avoided with quality gutters. Because water is funneled away from the foundation of your property, your soil is stabilized. You can prevent unnecessary flooding in your basement and beneath your property. Garage overhead doors and exterior doors are better protected. You can sidestep a number of foundation issues. Damage and settling of your patios, sidewalks and driveways can be greatly reduced. When you’re ready to learn more about gutters from an experienced roofing contractor in Medford, OR and the surrounding vicinity, JAM Roofing is here for you and your property. 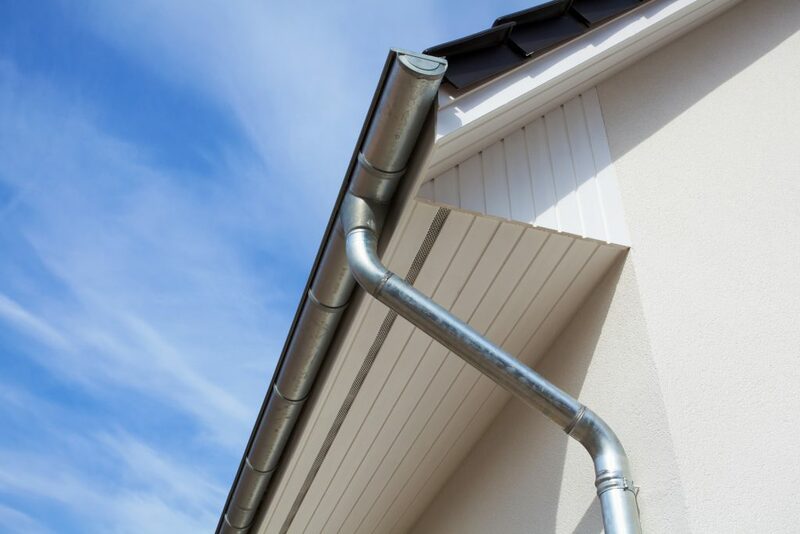 If you’re due for a re-roofing, it makes for the perfect time to install brand new gutters. The reason for that is because installation is easier during re-roofing. Even better is the fact that your gutters might perform better if they’re installed during a re-roofing. For all other occasions, not to worry, JAM Roofing technicians are known for their dedication to exemplary results and doing what’s best for clients and their property. Give us a call today at (541) 773-7663 to learn more about gutters. Alternatively, you’re welcome to complete and send an online form while you’re on our site.